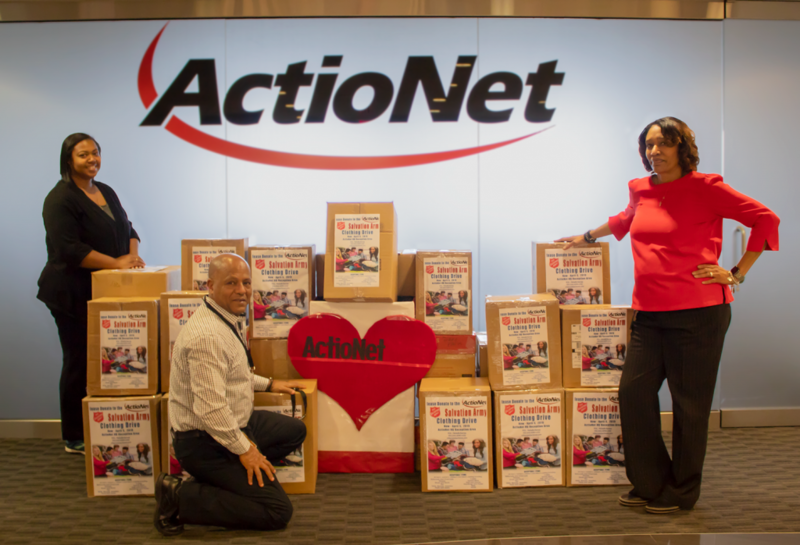 ActioNet collected over 680 clothing separates, accessories and suits in support of the Salvation Army. There is a saying that timing is everything; I must admit the clothing drive dates coincided with the change from winter to spring, the time most families begin spring cleaning. Whether is was timing, generosity or the willingness to help those in needs, the charity event for this quarter was a huge success. Thank you ActioNeters!